The 34,000-pound Orion test article was pulled out from a C-17 cargo bay to test the spacecraft’s Capsule Parachute Assembly System, or CPAS, which ultimately qualified the system for flights with astronauts. 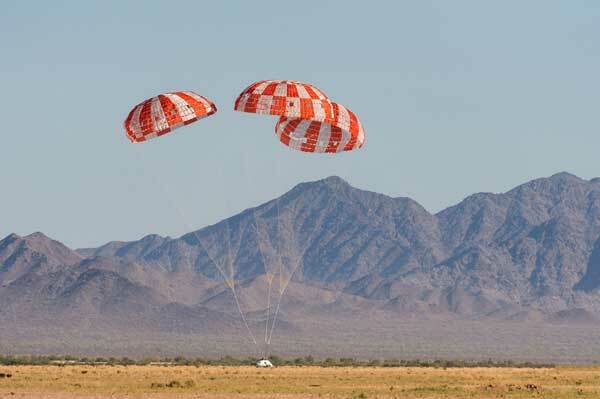 In the future, when the Orion spacecraft returns to Earth, the capsule’s system of 11 parachutes will slow the manned spacecraft’s descent for a splashdown in the ocean. 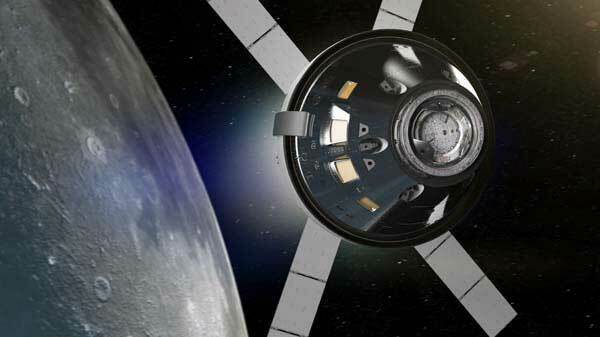 The final test checks off an important milestone on the path to send humans on missions to the moon and beyond, according to NASA. By contrast, with only slide rules and drafting tables the Apollo capsules took only a third of the time to design and fly. Happy 50th Anniversary to Apollo 7! 10 years testing friggin’ parachutes? Even worse, NASA seems to think this is worth a braggy press release. What is wrong with these people?